Elliott was born at Berkeley County, Virginia, on 24 May 1825.1 He married Lucinda Virginia Snodgrass at Berkeley County, Virginia, on 29 February 1848. Elliott died on 10 September 1890 at Berkeley County, West Virginia, at age 65.1 His body was interred after 10 September 1890 at Berkeley County, West Virginia, at Providence Church. [S757] Source: Wilbur F. Creighton Collection, TN State Library and Archives, 403 Seventh Ave., North, Nashville, TN 37243-0312, XIV-M-4, Box 2-8. 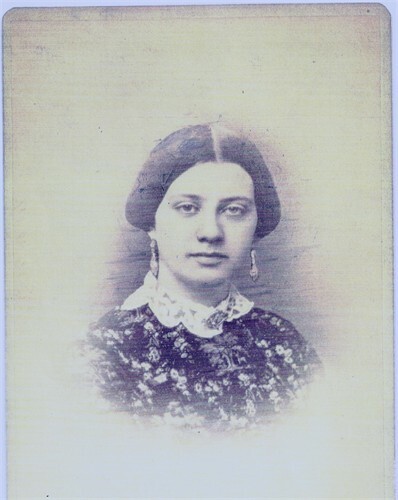 Lucinda was born on 18 January 1830.1 She married Elliott Robert White Tabb at Berkeley County, Virginia, on 29 February 1848. Lucinda died on 25 February 1883 at age 53.1 Her body was interred after 25 February 1883 at Berkeley County, West Virginia, at Tuscarora Presbyterian Church. Arabella was born at Berkeley County, Virginia, on 14 December 1827.1 She married William Tyler Snodgrass at Martinsburg, Berkeley County, Virginia, on 21 January 1845.2,3 Arabella died on 2 August 1912 at Martinsburg, Berkeley County, West Virginia, at age 84.3 Her body was interred after 2 August 1912 at Martinsburg, Berkeley County, West Virginia, at Green Hill Cemetery. [S438] Source: The Evans Family by Marjorie Stewart Tucker, Earl Gray Printing, Birmingham, Alabama, page 169, a copy of which is located in the Berkeley County Library, Martinsburg, WV 25401. [S264] Source: Martinsburg Gazette, dated 23 January 1845. [S1109] , Letter from Kelley (Snodgrass) Michelli dated 13 Nov 2013, along with attachements and photos. William was born at Berkeley County, Virginia, on 12 July 1808.1 He married Arabella Ellen Tabb at Martinsburg, Berkeley County, Virginia, on 21 January 1845.2,1 William died on 28 August 1877 at Berkeley County, Virginia, at age 69. His body was interred after 28 August 1877 at Martinsburg, Berkeley County, West Virginia, at Green Hill Cemetery. 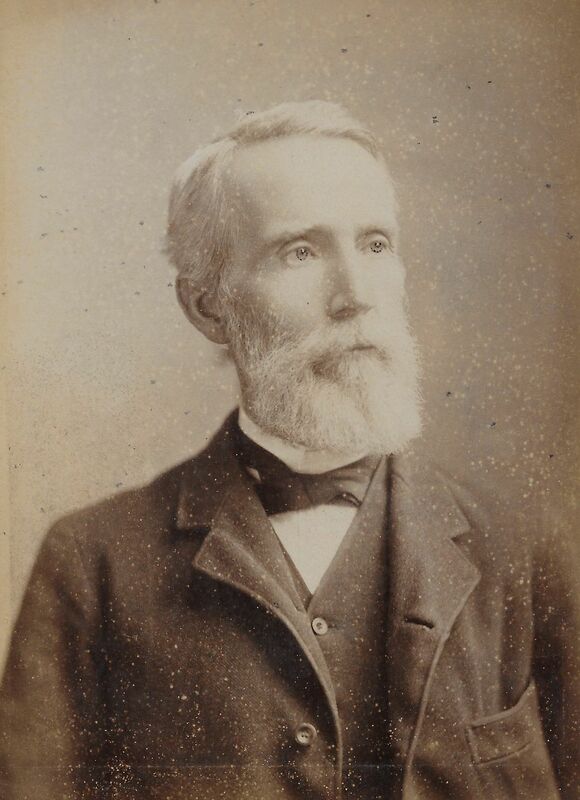 Mathews was born on 4 December 1829. Mathews died on 15 July 1882 at age 52. His body was interred after 15 July 1882 at Berkeley County, West Virginia, at Tuscarora Presbyterian Church. [S782] Source: The William Iiams Genealogy Web Site at http://www.iamsfamily.net/genealogy/family_groups/…. 26 Dec 00. [S945] Source: Roberta W. Iiams, 150 Sesame Street, Springboro, Ohio 45066-1073 (e-mail address). James was born at Frederick, Frederick County, Maryland, on 21 June 1819.1 He married Dorcas Susan Mitchell Tabb at Berkeley County, Virginia, on 6 December 1849.1 James died on 30 June 1873 at Baltimore, Maryland, at age 54.1 He was buried after 30 June 1873 at Loudon Park Cemetery, Baltimore, Baltimore County, Maryland. Elizabeth was born on 6 February 1832. She married George P. Morison at Berkeley County, Virginia, on 6 December 1849. Elizabeth died on 28 July 1858 at age 26. George was born in 1825. He married Elizabeth Brown Tabb at Berkeley County, Virginia, on 6 December 1849. George died on 23 June 1883. Ruth was born at Berkeley County, Virginia, on 14 May 1834. 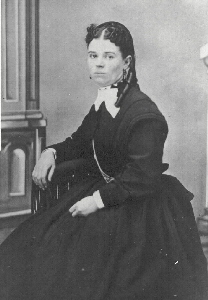 She married Thomas John Tongue at Berkeley County, Virginia, on 15 June 1854. Ruth died on 9 January 1889 at Baltimore, Baltimore County, Maryland, at age 54. She was buried after 9 January 1889 at Loudon Park Cemetery, Baltimore, Baltimore County, Maryland. 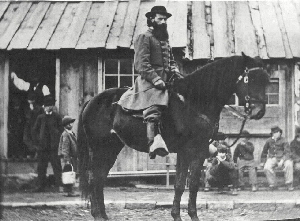 Thomas was born at Anne Arundel County, Maryland, on 3 August 1822. He married Ruth Virginia Walker Tabb at Berkeley County, Virginia, on 15 June 1854. Thomas died on 11 February 1903 at Baltimore, Baltimore County, Maryland, at age 80. He was buried after 11 February 1903 at Loudon Park Cemetery, Baltimore, Baltimore County, Maryland. [S849] Source: E-mail from Barbara Wolfe Foran (e-mail address) dated 19 October 2001. Nancy was born on 3 March 1834. Nancy died on 16 March 1848 at age 14. Her body was interred after 16 March 1848 at Falling Waters, Berkeley County, Virginia, at Falling Waters Presbyterian Church. [S845] Source: Obituary for Mary Kay Healey. James was born on 18 January 1843. 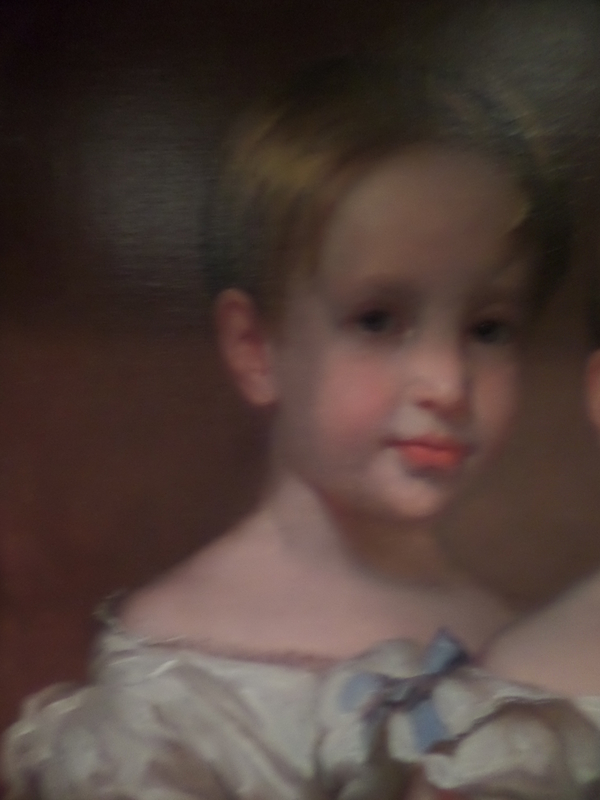 James died on 14 January 1848 at age 4. His body was interred after 14 January 1848 at Falling Waters Presbyterian Church, Berkeley County, Virginia. Hammond died. Hammond was born at Baltimore, Baltimore County, Maryland. He married Lucy Alice Tabb on 14 June 1859. She married Arthur Wilson Tabb. Kate was born at King & Queen County, Virginia, in 1854. Her body was interred in 1927 at Gloucester County, Virginia, at Ware Church. Kate died in 1927. Mary was born at 'Woodstock', Mathews County, Virginia, on 19 February 1871. Mary died on 6 July 1958 at Richmond, Henrico County, Virginia, at age 87.1 Her body was interred in July 1958 at Mathews County, Virginia, at Christ Church Cemetery. [S80] He died of pralysis. George was born at 'Woodstock', Mathews County, Virginia, on 29 May 1872. He married Annie Taylor Gordon at Fredericksburg, Virginia, on 9 October 1907. George died on 23 April 1936 at 'Woodstock', Mathews County, Virginia, at age 63. His body was interred after 23 April 1936 at Mathews County, Virginia, at Christ Church Cemetery. He married Victoria Lewis. Henry was born at Mathews County, Virginia, on 18 March 1881. He married Annie Taylor Gordon at Fredericksburg, Virginia, on 9 October 1907.1 Henry died on 4 November 1973 at age 92. His body was interred in November 1973 at Mathews County, Virginia, at Christ Church Cemetery. Her body was interred at Gloucester County, Virginia, at White Marsh Farm Cemetery. Mary was born on 25 October 1819. Mary died on 16 November 1819. George was born on 15 August 1839. His body was interred in March 1842 at Gloucester County, Virginia, at White Marsh Farm Cemetery. George died on 24 March 1842 at age 2. Henry was born on 3 November 1857. He married Rebecca Lloyd Tabb at Ware Church, Gloucester County, Virginia, on 22 June 1911. Henry died in August 1935 at age 77. Sallie was born on 8 April 1885. She married Joseph James Tabb on 16 October 1919. Her body was interred in March 1975 at Gloucester County, Virginia, at Ware Church. Sallie died in March 1975 at age 89. Elizabeth was born in 1897. She married Warner Throckmorton Tabb at Community Church, New York, on 11 June 1919. Her body was interred in 1951 at Gloucester County, Virginia, at Ware Church. Elizabeth died in 1951. Martha was born at Mathews County, Virginia, on 16 December 1854.1 Martha died on 28 October 1855 at Mathews County, Virginia.1 Her body was interred after 28 October 1855 at Gloucester County, Virginia, at Ware Church.